At Giant Inflatables, we've seen seasons come and go, and in an industry influenced by seasonal sporting events and activities one summer product stands above the rest; The Inflatable Misting Tunnel. 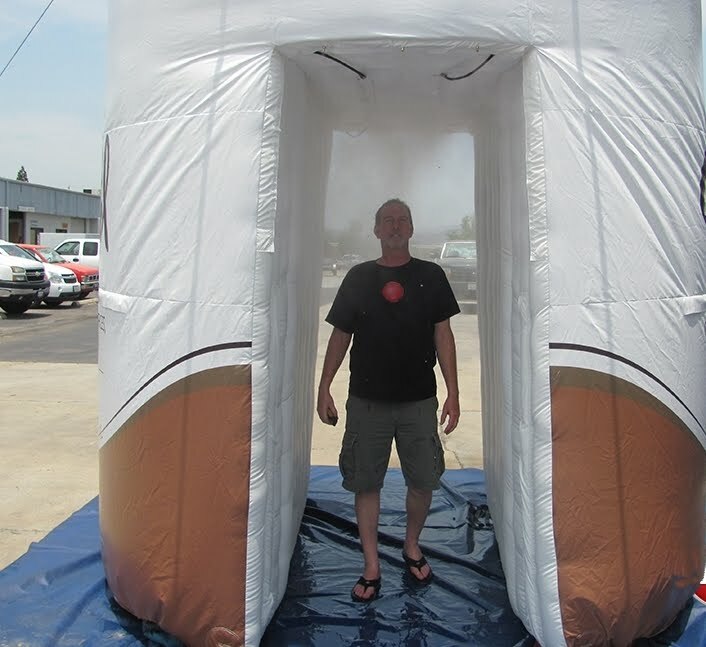 Inflatable Misting Tunnels and Arches are the perfect inflatable solution to the summer heat. Nothing is more relieving than walking through a mist of cool water, thanks to your sponsors. 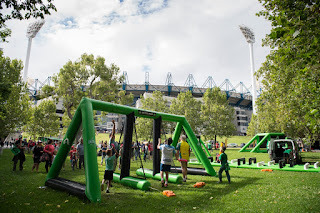 Misting Tunnels are the most effective way to engage with a fan-base in a meaningful way. 20 years of industry experience has developed into a knowledge of branding and fan interaction. Misting Tunnels themselves, give back to the present crowd, with people flocking to the cool air and engaging with the sponsor. 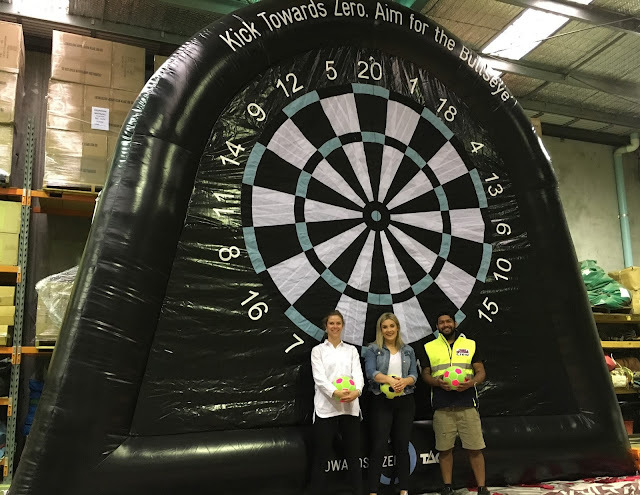 It isn't every day that a brand activation can attract a crowd without excessive effort from the sponsor. 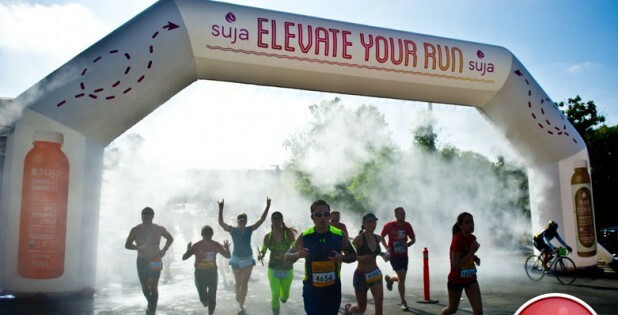 With a misting tunnel providing a cool refuge, the crowd will come to you! 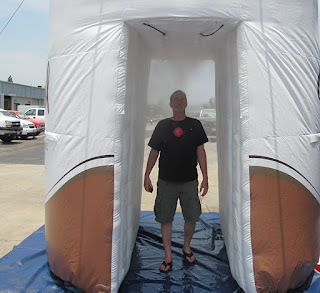 Every Inflatable Misting Tunnel that leaves the Giant Inflatables warehouse comes with a Certificate of Product Compliance. 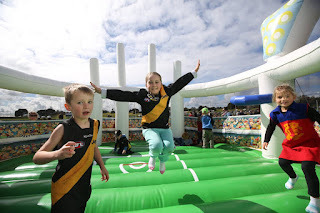 This means that our inflatables are compliant with strict Australian Safety regulations. 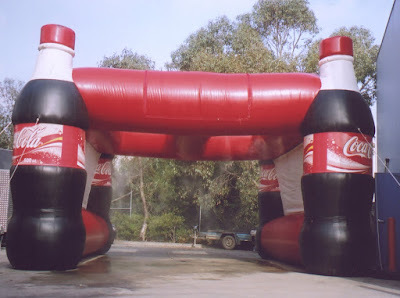 Let Giant Inflatables help create you perfect summer brand activation today!